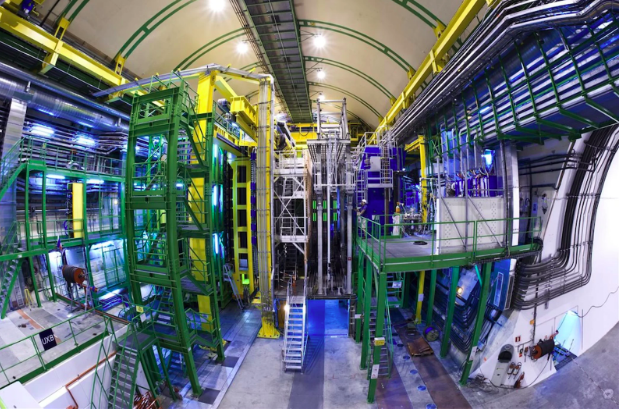 Recently, the Large Hadron Collider found a new behavior of antimatter, one that allows the universe to exist and suggest that the big bang is most likely how the universe was started. Every piece of matter in the universe has a corresponding piece of antimatter. They both look the same, however, when they come in contact with one another, they will utterly annihilate one another. However, there was a major flaw in this reasoning. If antimatter behaved this way, how could the universe have come into existence? When two major stars collided, wouldn’t the matter and its corresponding antimatter have canceled one another out? This did not happen, and instead, roughly 1 billion quarks remained (Quarks are the hypothetical yet very probable building blocks of protons, electrons, and other hadrons.) This means that matter and antimatter for some types of particles do not have exactly opposite behaviors. The LHC recently discovered multiple clumps of quarks with specific structures called mesons. Specifically, they investigated the D0 and the anti – D0 meson. What they found was that when decaying both of these mesons to kaons or pions was that they disintegrated at different speeds. The difference was a tenth of a percent. This minuscule amount is not enough information to explain how the big bang left behind so much mass that is now today’s universe, however, it is proof that antimatter and matter do not act completely opposite. This is the beginning of a most likely complex explanation of why matter did not cease to exist upon the big bang.